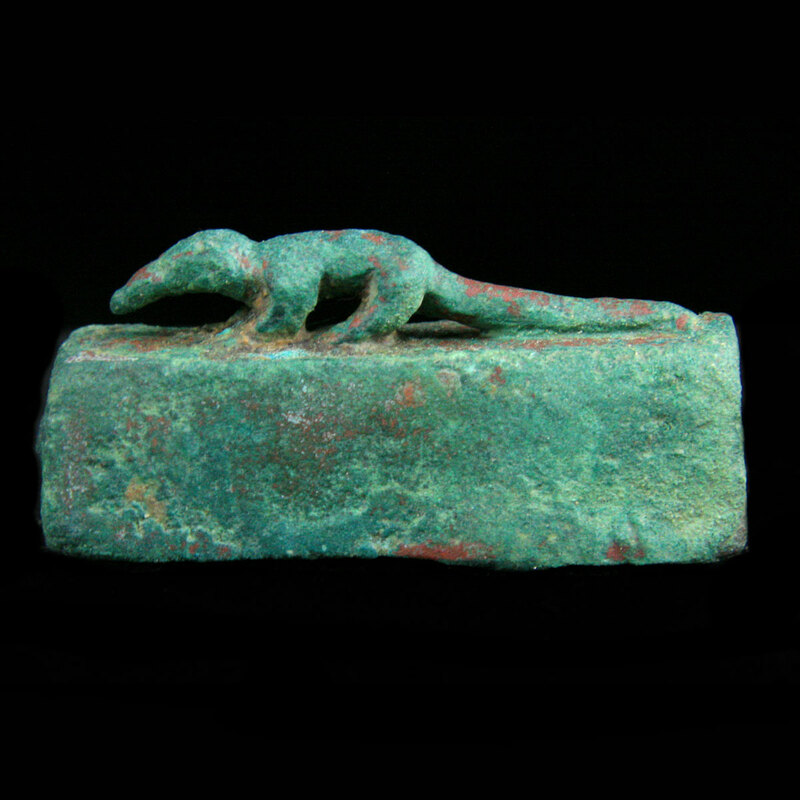 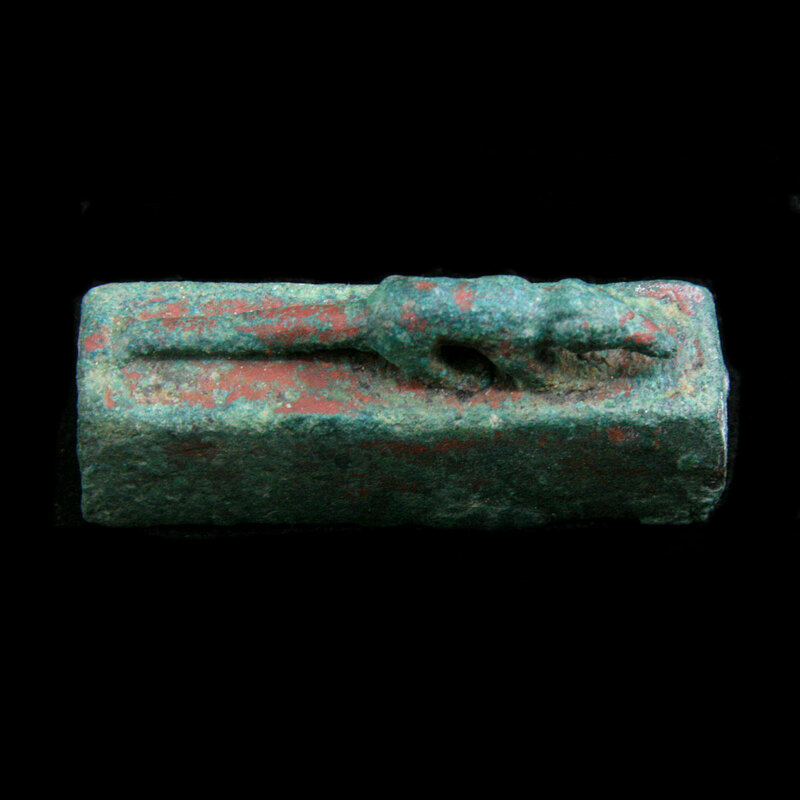 An Egyptian miniature bronze sarcophagus for an ichneumon (mongoose). 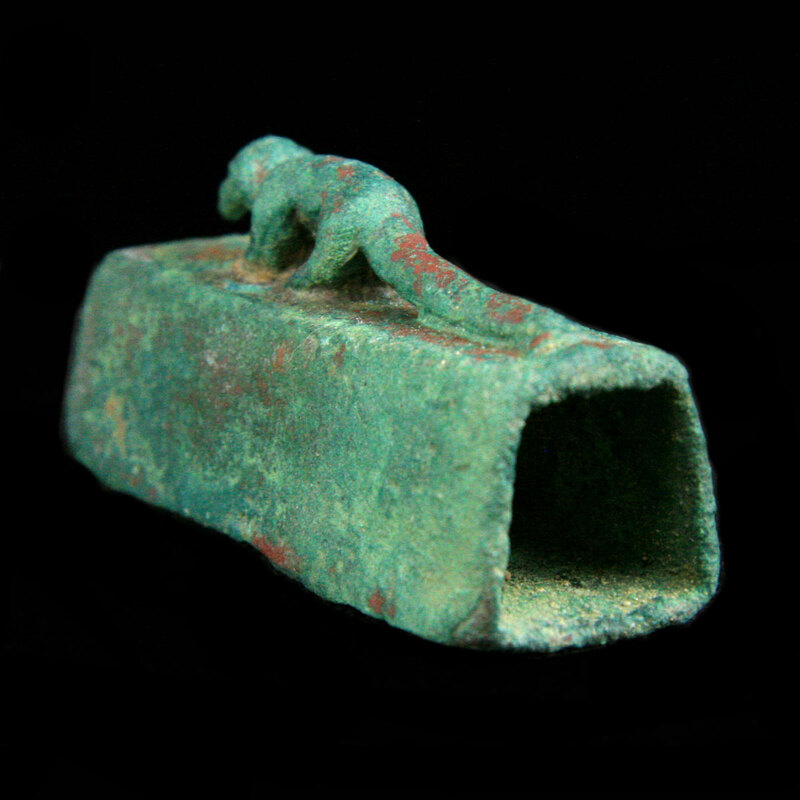 An Egyptian miniature bronze sarcophagus for an ichneumon (mongoose). 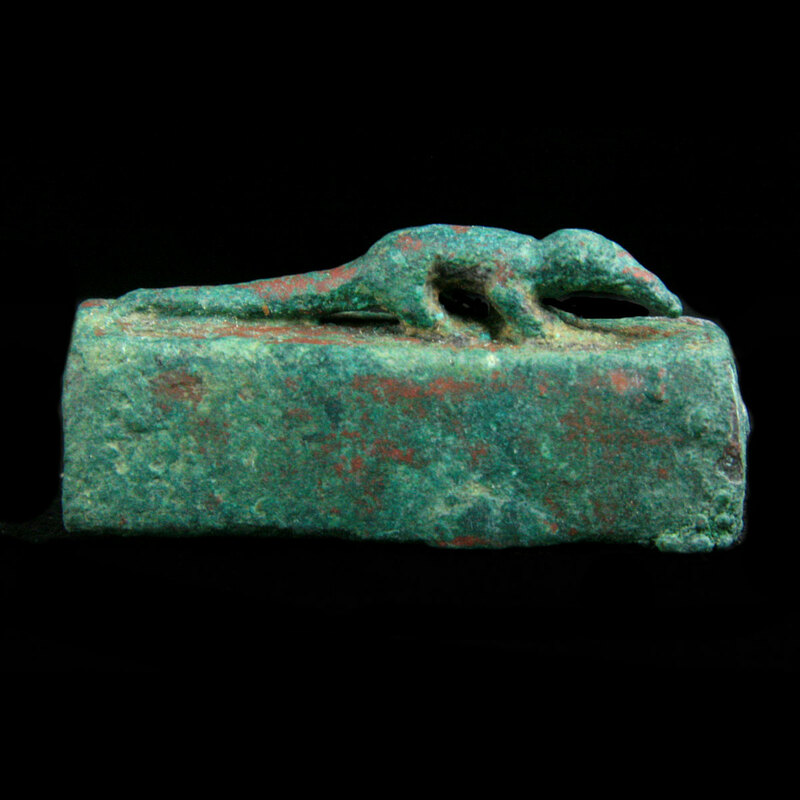 The mongoose was sacred in Egyptian religion and symbolised underworld spirits. 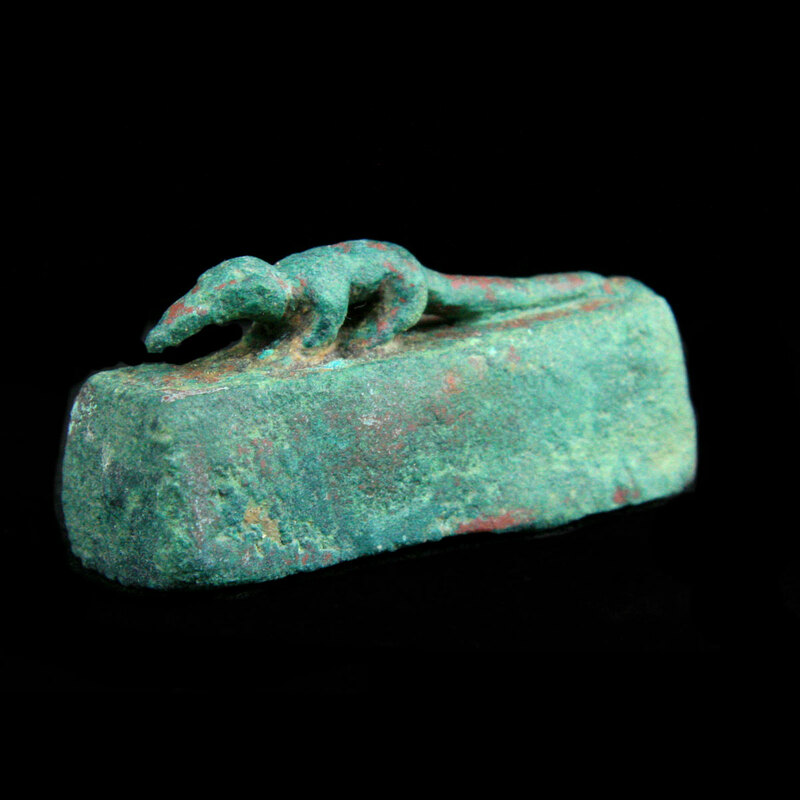 It was revered for its ability to kill snakes. 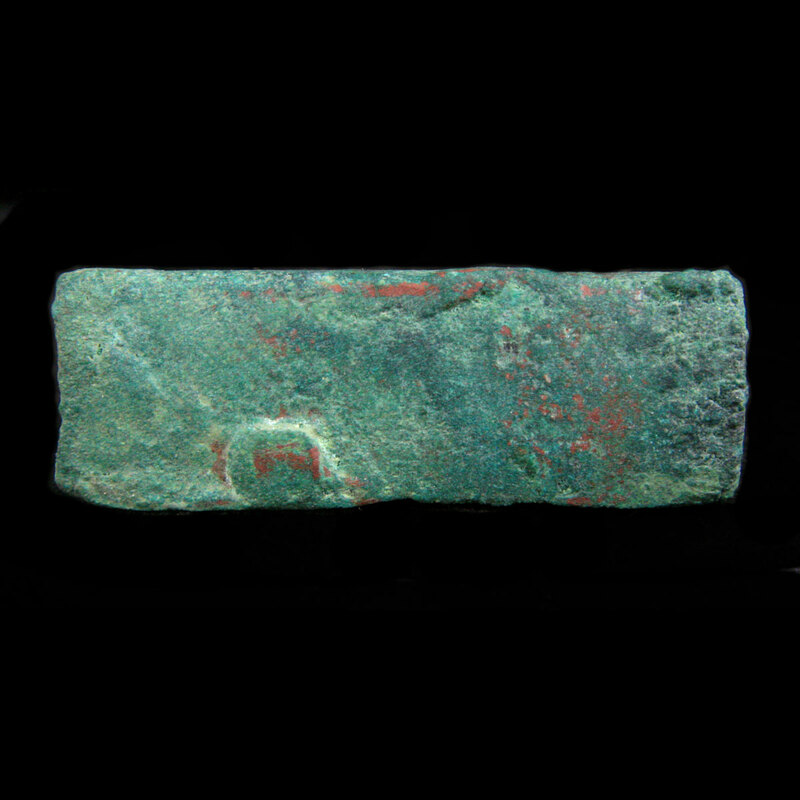 Built up verdigris patina with earth accretions evident; in good condition.